The key to effective tapping/EFT is being able to tune into the issues that need work. There are many ways of doing this. The most common way is to say phrases out loud while tapping, but sometimes we don’t know what to say. The issue might be too deep, the memory might be too painful, or we just can’t seem to come up with the right words to describe what is going on. In this podcast I talk to Marie Holliday about a simple and elegant way to tap for issues called the photo technique. We talk about how easy it is to do, for which issues it works best, and how you can start using it right away with photos, icons, x-rays, or really any image to improve the tapping progress. Please take the time to learn about this powerful technique, it is a great tool to add to your tapping/EFT toolbox. 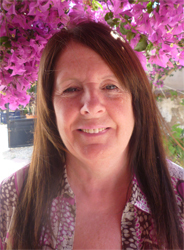 About Marie: Marie is an AAMET International EFT Practitioner and MasterTrainer of Trainers in English and Spanish. As a professional trainer she is continually pursuing the best in training. As a practitioner she continues to develop creative and innovative techniques such as her ‘Energy Exchange Photo Techniques’ and the ‘ CASTaway’ technique. Marie played an active part as a member of the AAMET International Executive Board and Co-Director of the AAMET International Training & Certification Board for many years. In her practice, she now works more with animals and has developed energy techniques specifically for animals. She is now holding her second Animal Energy World Conference where International Guest Speakers share energy work and techniques making them readily available for everyone to try with their pets, wildlife, abused and abandoned animals. Thanks Gene and Marie for the excellent interview. I have been exploring Matrix Reimprinting and find the inability to visualize yourself from the past can be a hindrence. Using a photograph is perfect! I can’t wait to try it on myself and clients. Thank you for all the examples. Thanks that was a great interview. I just tried it on a photo with myself and someone that I needed some healing with. I just tapped between the 2 images and it felt really good. Without ‘digging up the past’ I can accept both of us and where we were then and now. Great !! These techniques I developed are gaining in popularity due to the gentle way they can help dis-associate from a photograph, even of self. You can get a free download on the techniques at my website below.